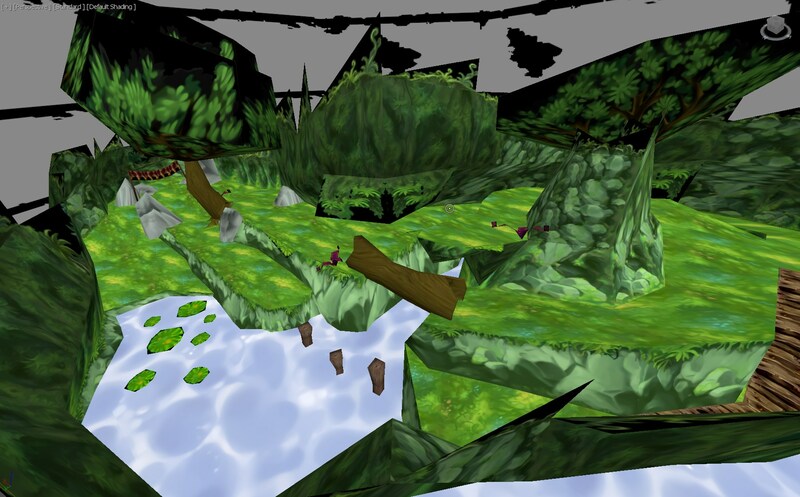 As you might have seen, I managed to export static Rayman 2 world geometry. 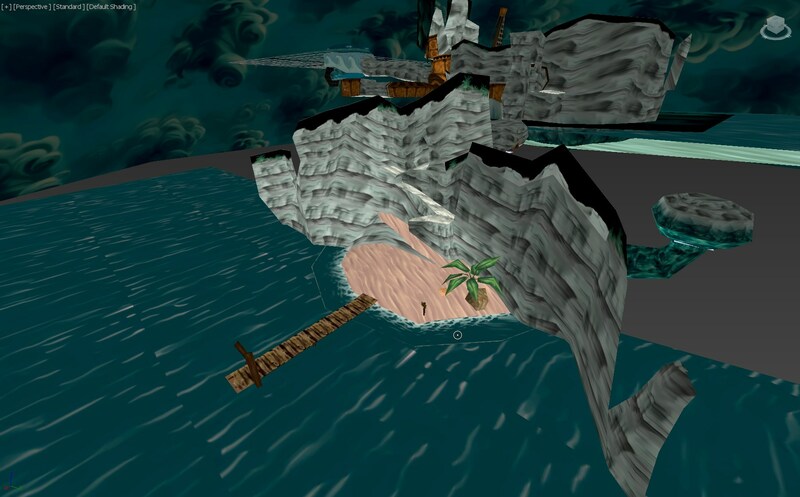 By static, I mean everything that doesn't move, so unfortunately, you won't be able to see Rayman, cages, pirates, etc., although it's still fun to see levels you know very well from different perspective. 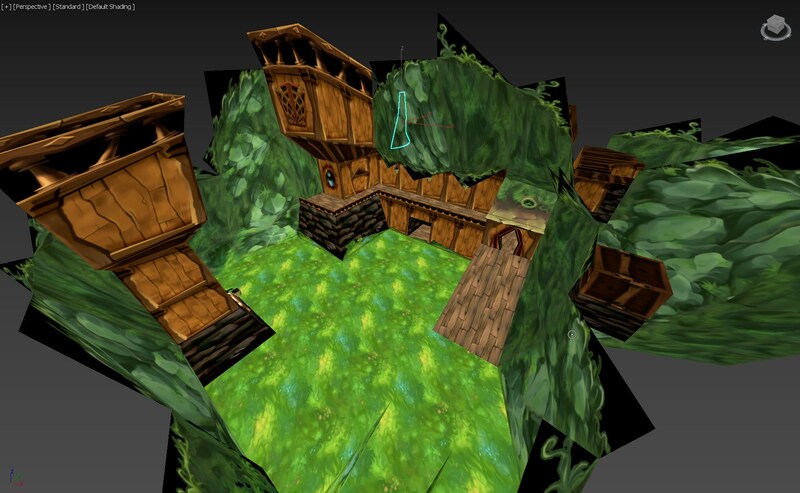 For now, geometry is exported into many OBJ files corresponding to level sectors (Rayman 2 uses octal trees). If you want to import a level into a 3D graphics editor, you'll have to use batch importer (one for 3ds Max is in the archive). All levels included in the archive, as well as textures. Transparency doesn't work for some reason, but I know how to fix it and I will soon do. Also, I'll be helping Adsolution with his RayTwol, so it's possible to import and display levels in it. Is there any way you can have all levels be in one OBJ file? I don't have 3DS Max so I can't use your batch importer. Each OBJ file can only contain one mesh. Simply stringing them end-to-end wouldn't work as the faces join using vertex IDs relative to their own mesh, so you would have to write a program to combine them all into a single mesh, which would involve shifting around face data. It wouldn't actually be very complicated to do, and I'll maybe look into it. I have ripped the character models from Rayman M and are included in this link. I know they aren´t directly from Rayman 2, but it seems as if the developer re-used the models from Rayman 2 in Rayman M. Therefore, I am posting them here. I know this thread is old, but is there a batch importer for Blender, or Sketch-Up Pro? I am about to look now.